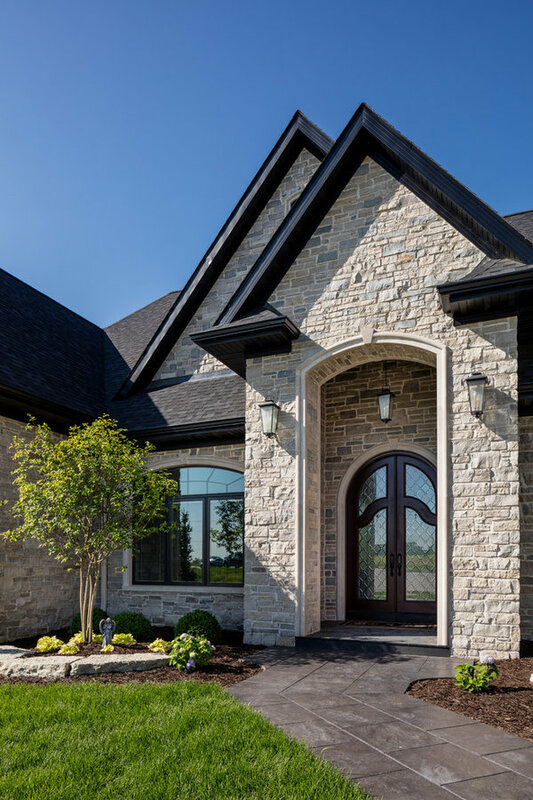 Built by McCartney Improvement Co., this elegant cottage has modern Mediterranean influences throughout the interior. 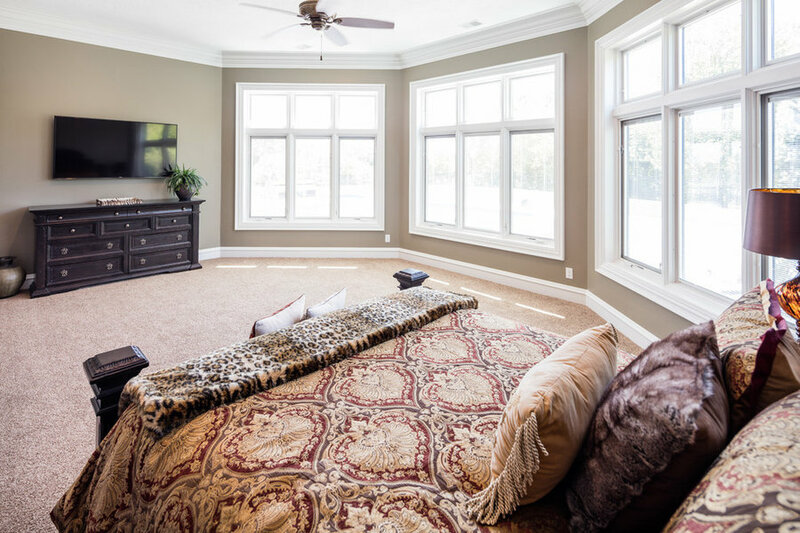 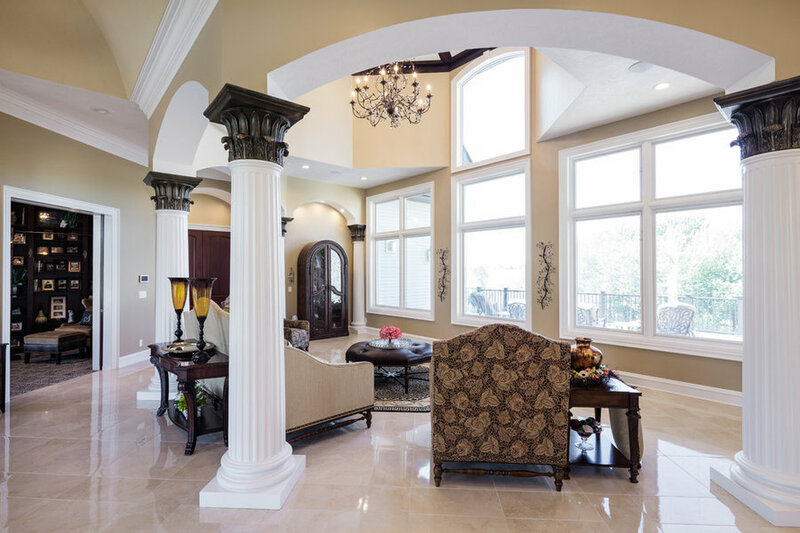 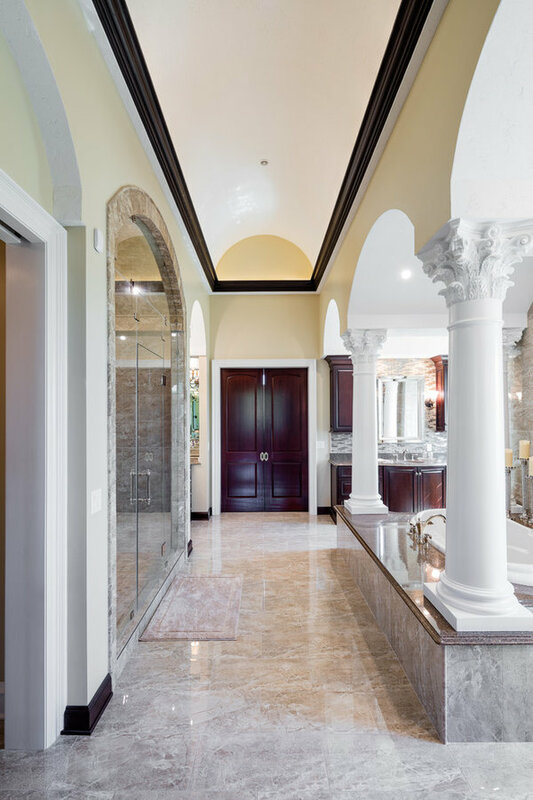 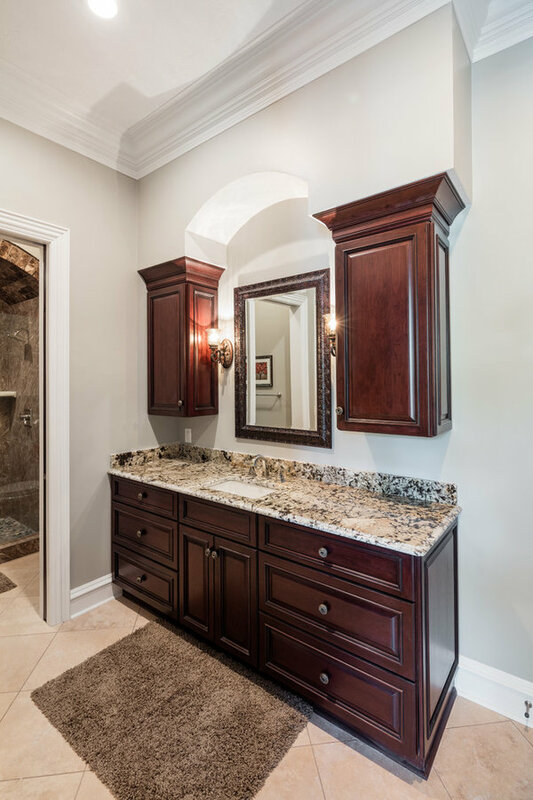 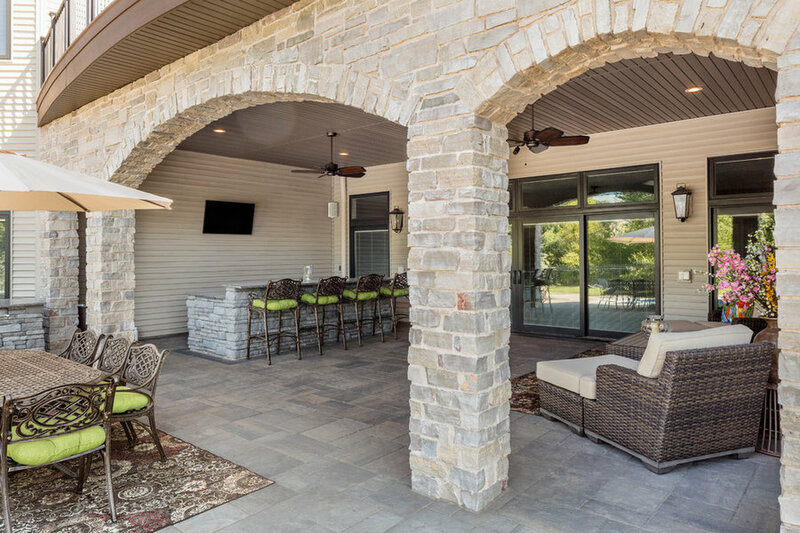 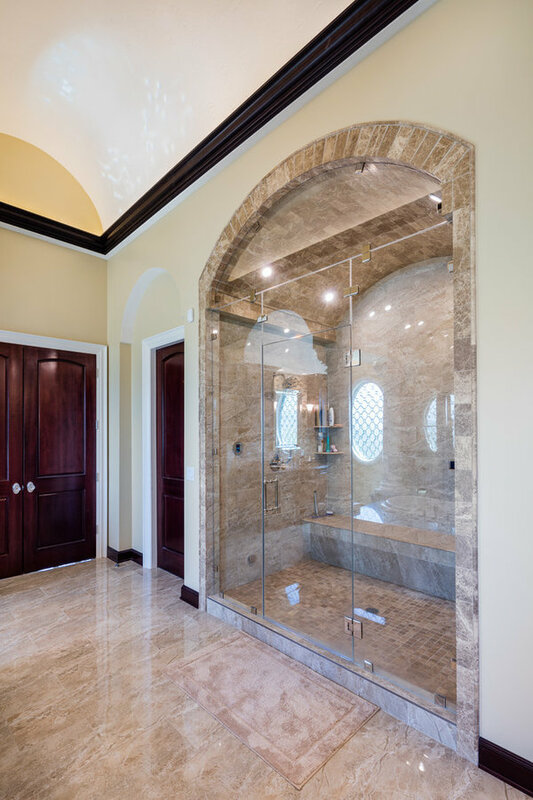 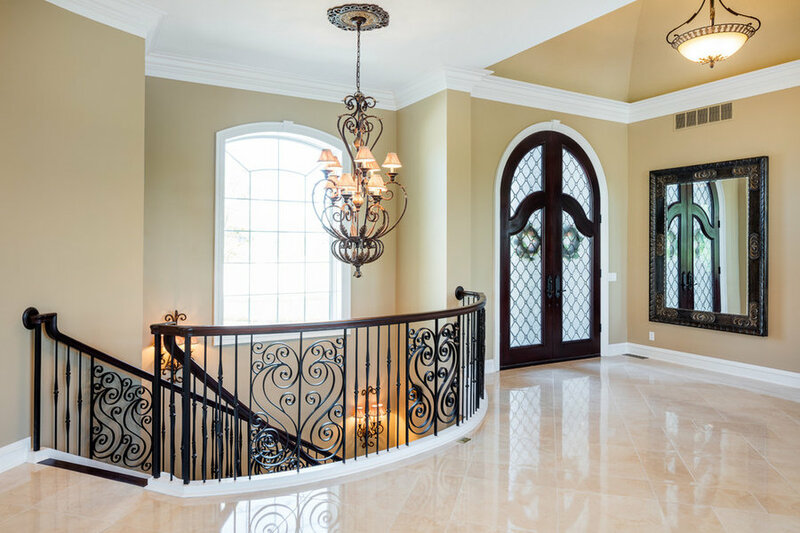 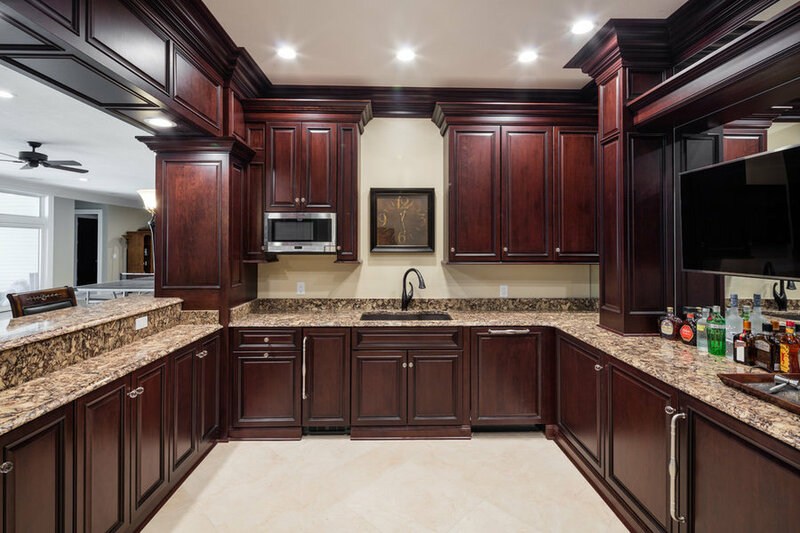 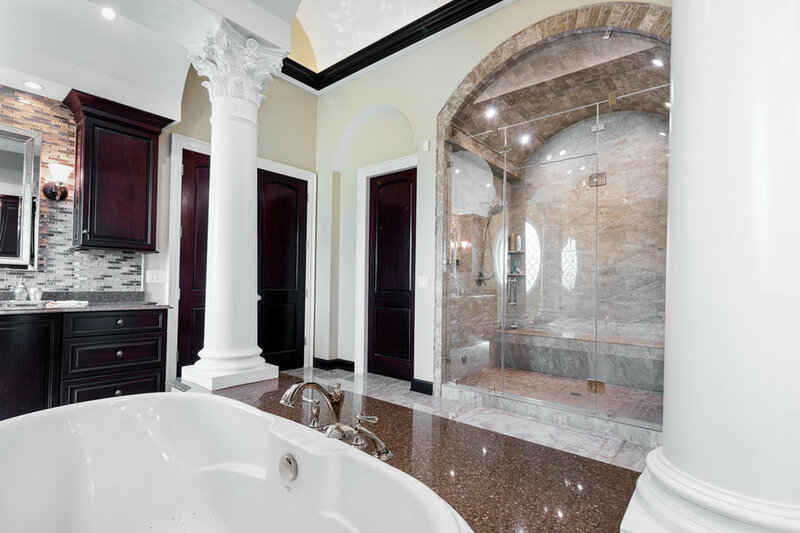 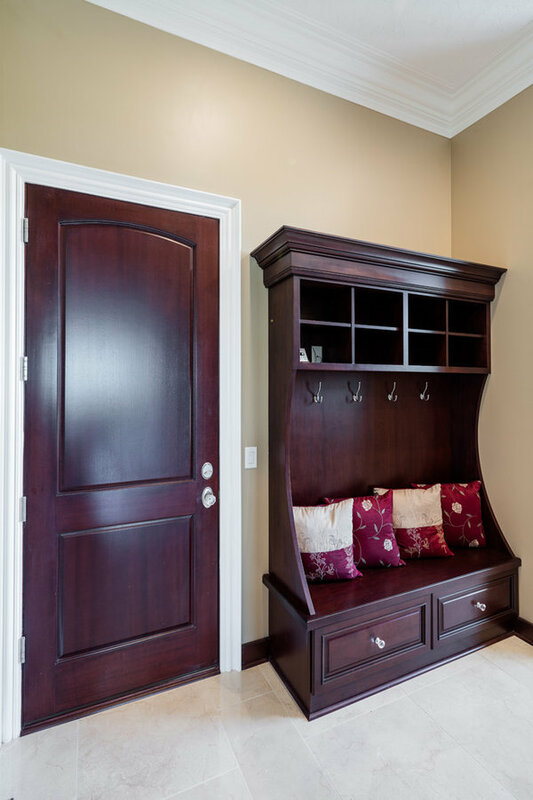 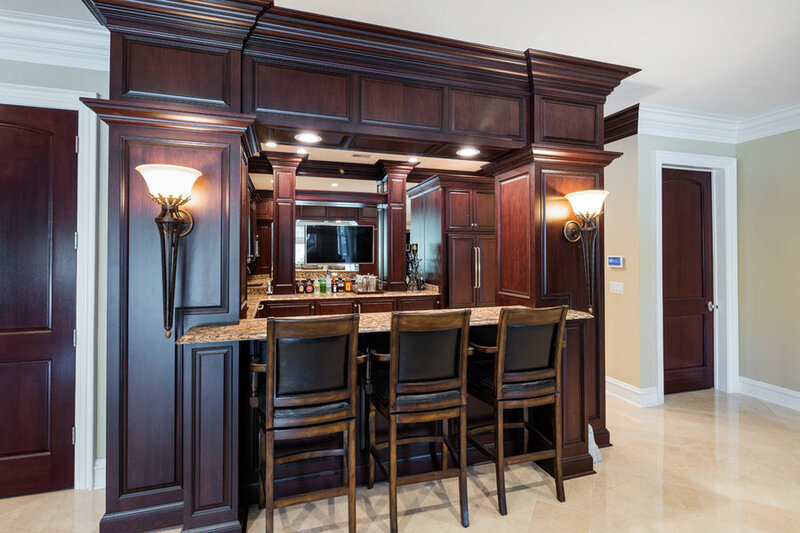 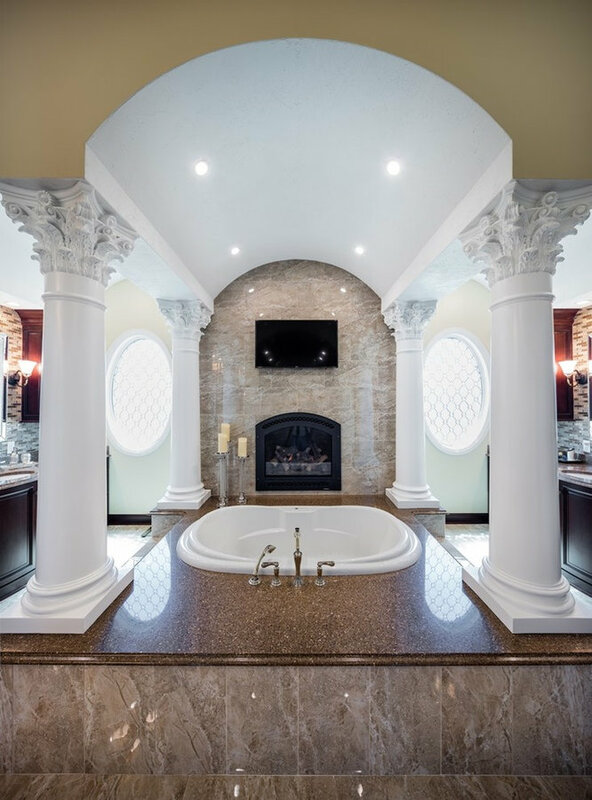 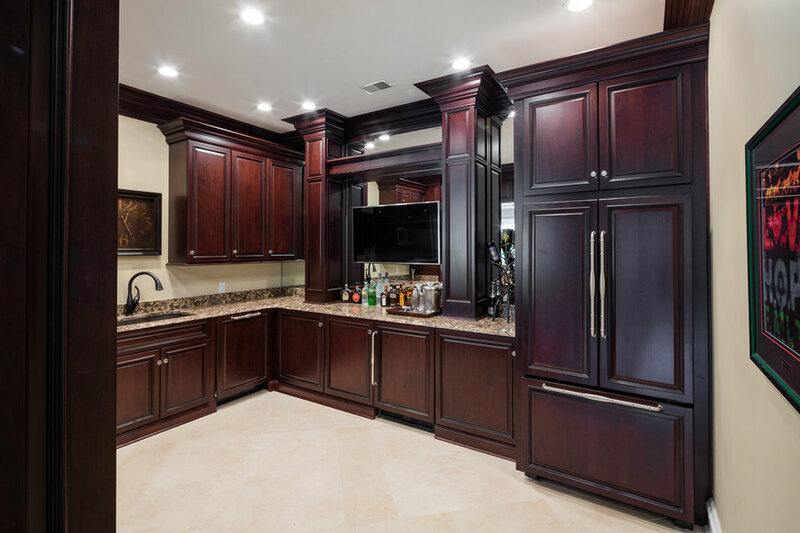 After entering through mahogany double doors more than ten feet tall, you will find an open floor plan that uses architectural elements like Corinthian columns and archways to define living spaces. 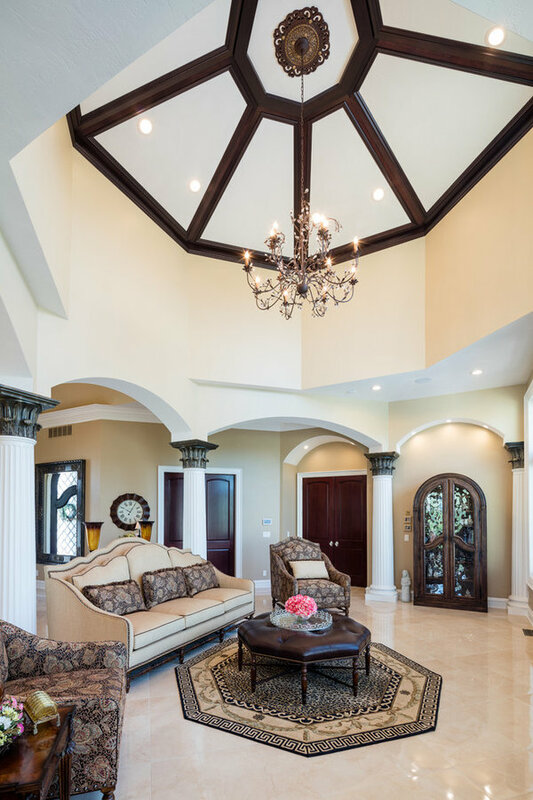 The majesty of this residence is accentuated by a variety of barrel, beamed, cathedral and coffered ceilings throughout the main floor. 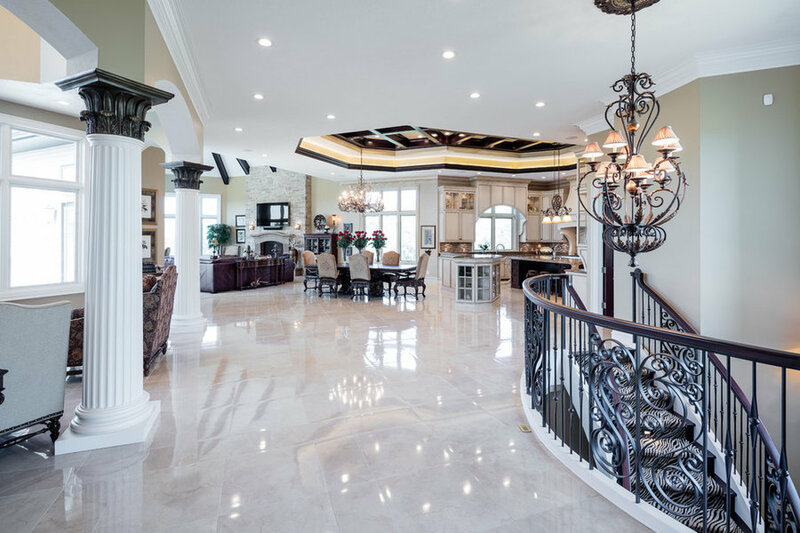 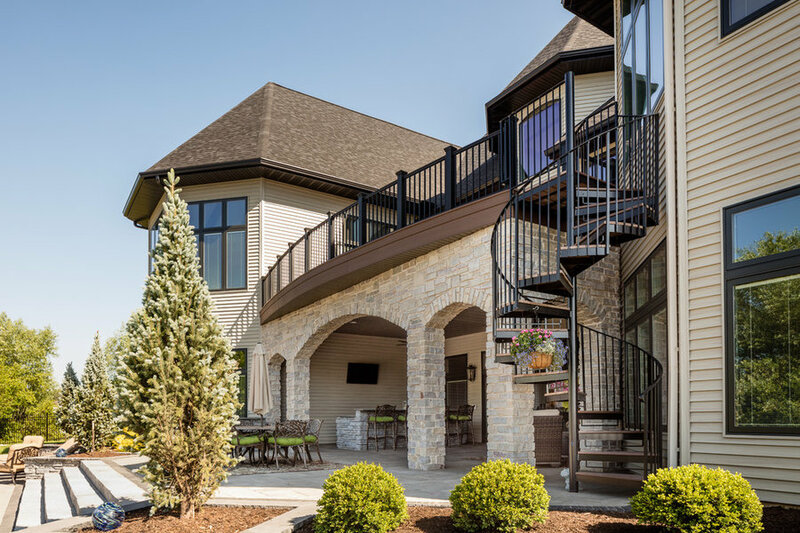 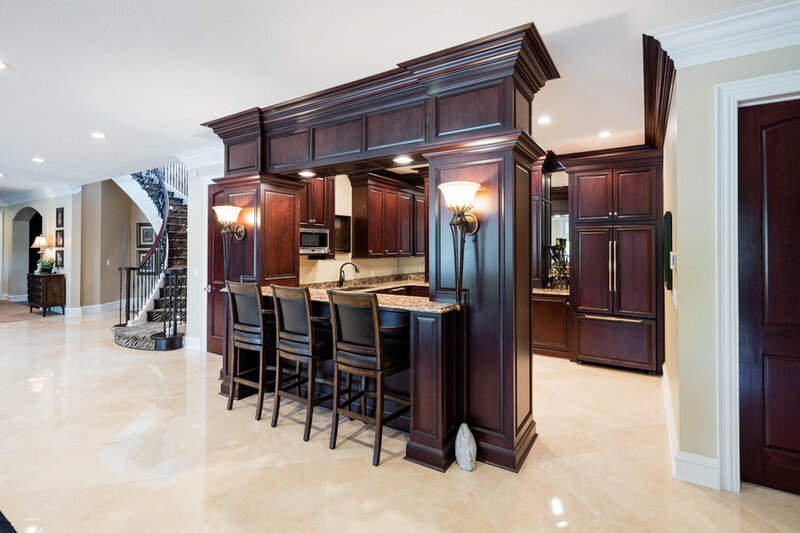 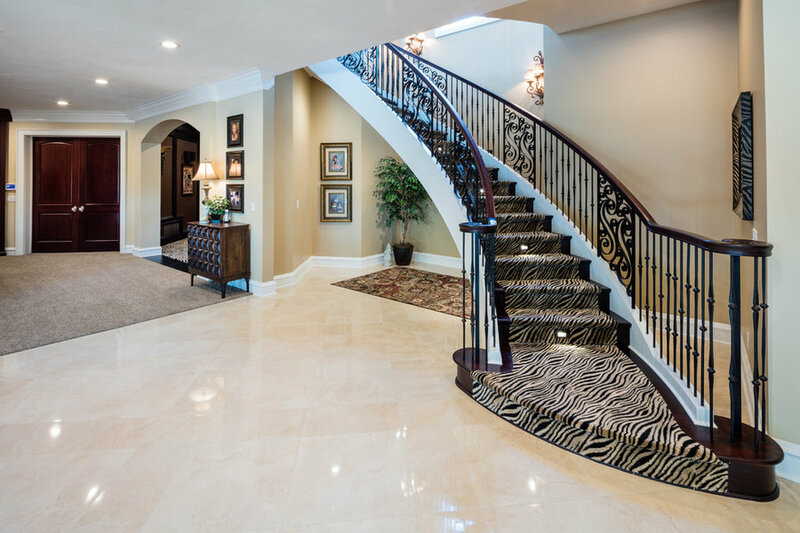 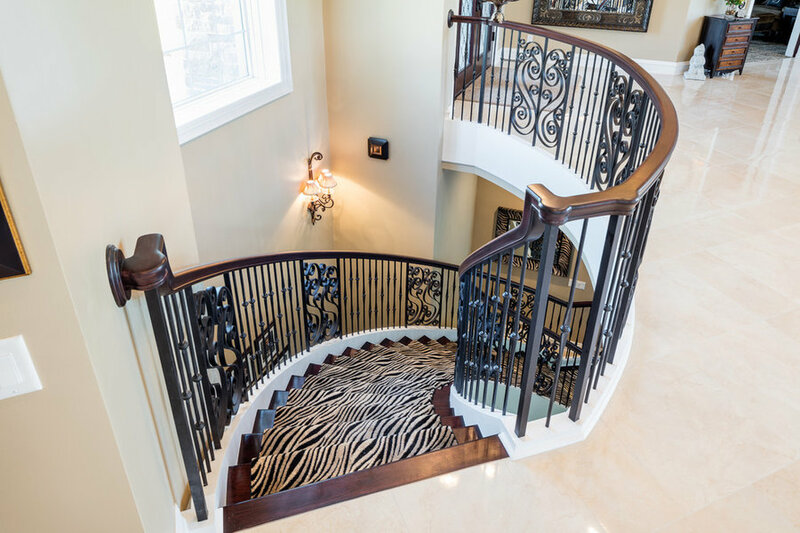 Make a grand entrance to another level of gracious living by descending the open curved staircase to the lower level and enjoy its high ceilings and large gathering spaces perfect for entertaining. 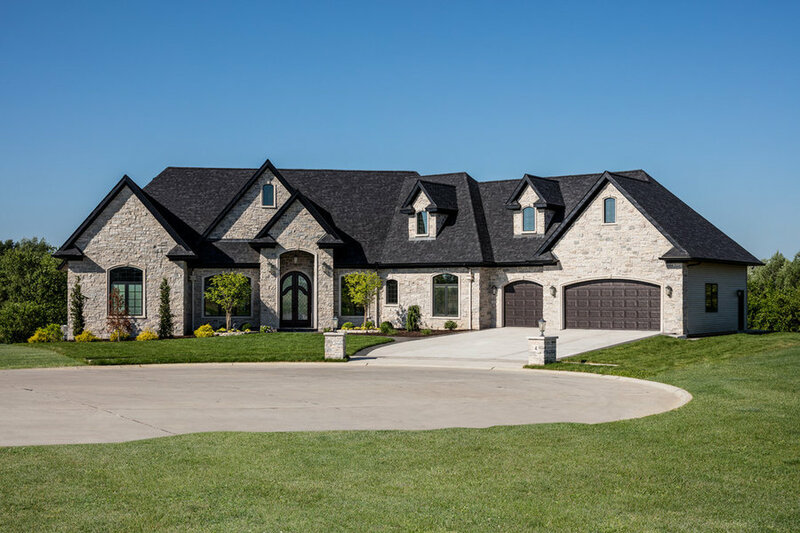 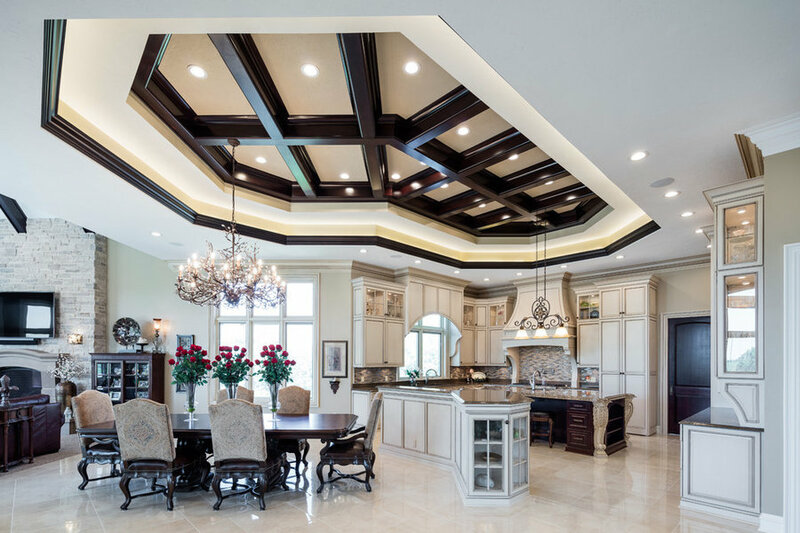 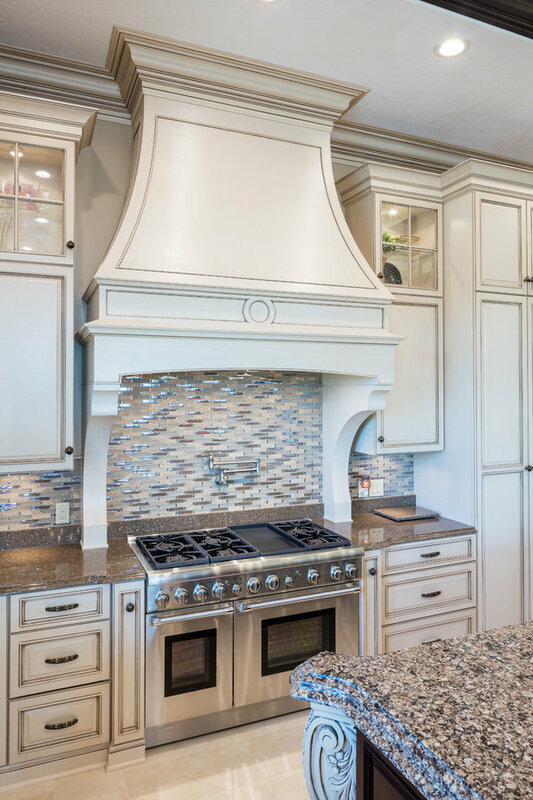 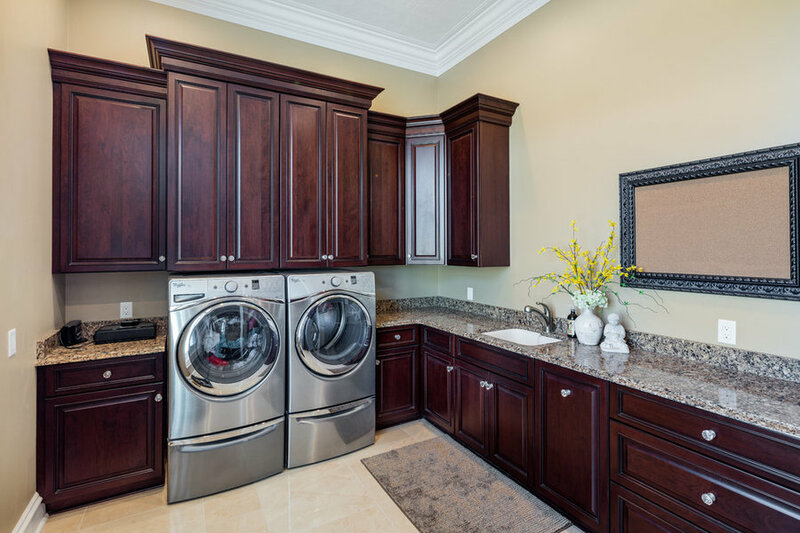 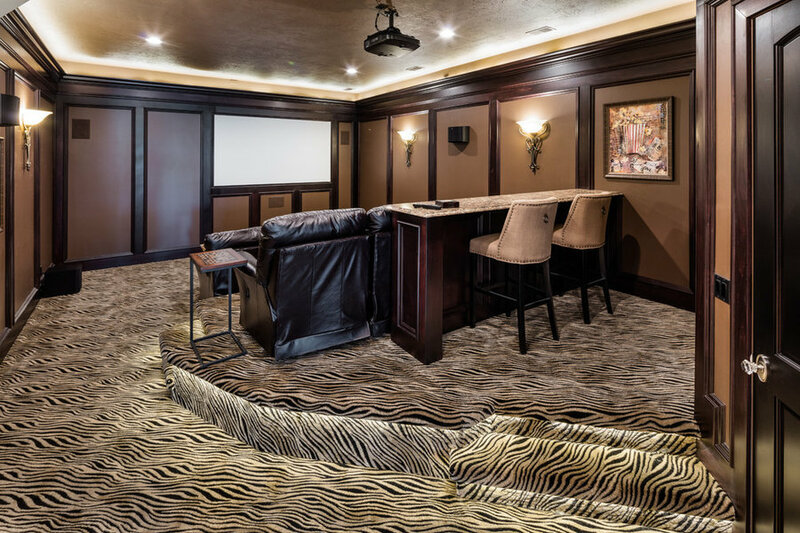 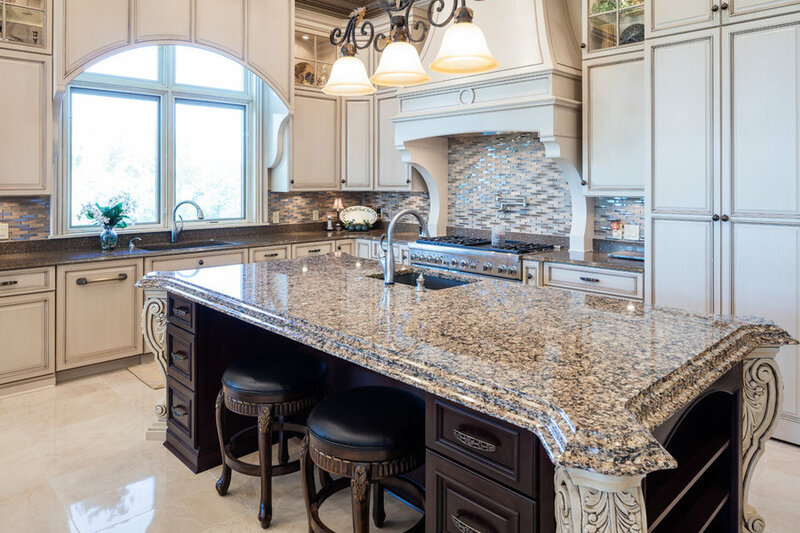 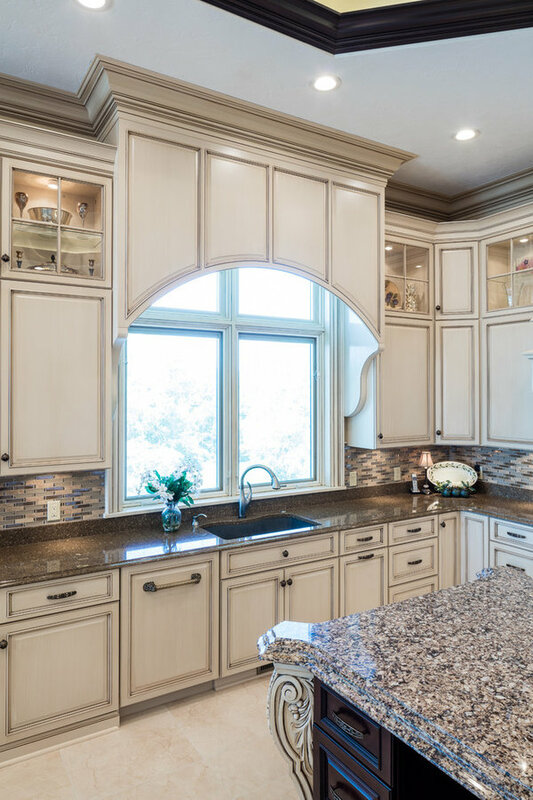 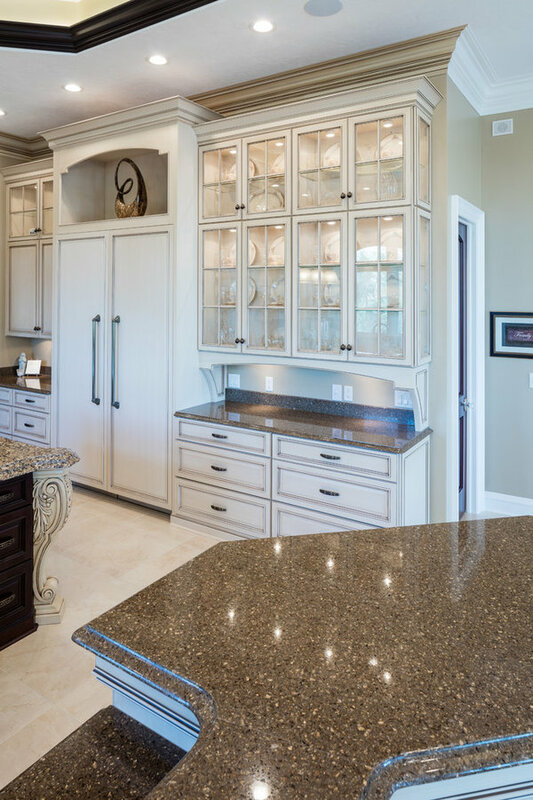 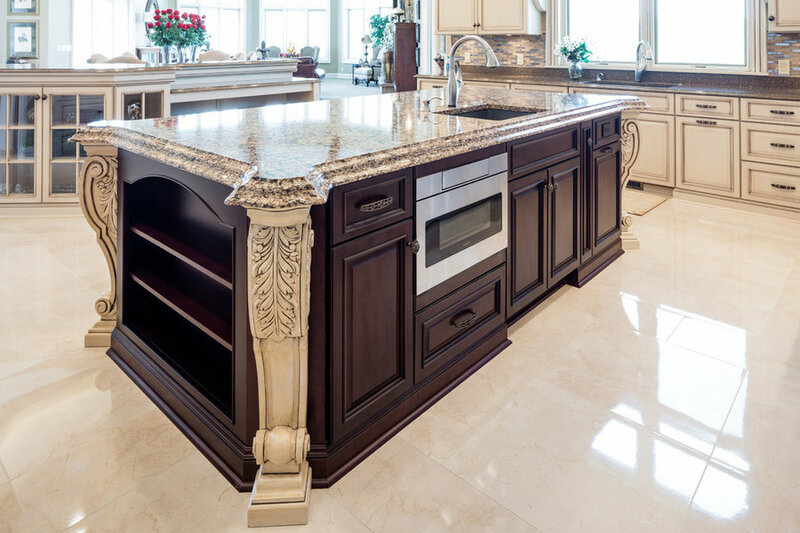 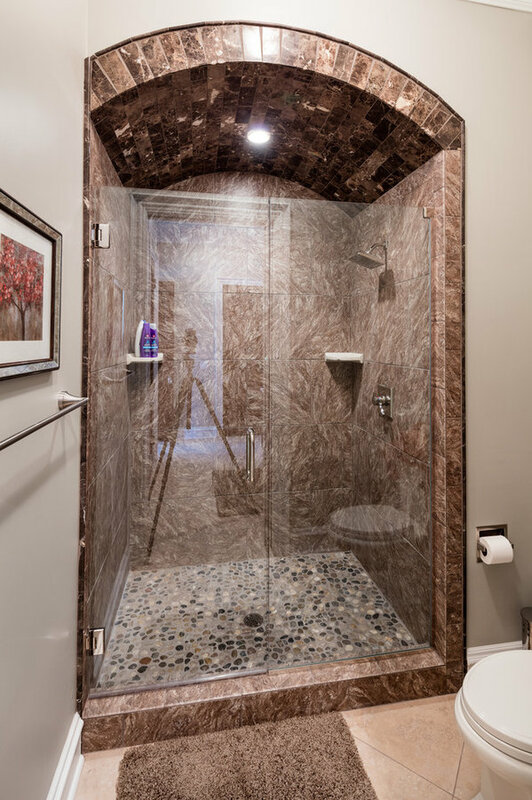 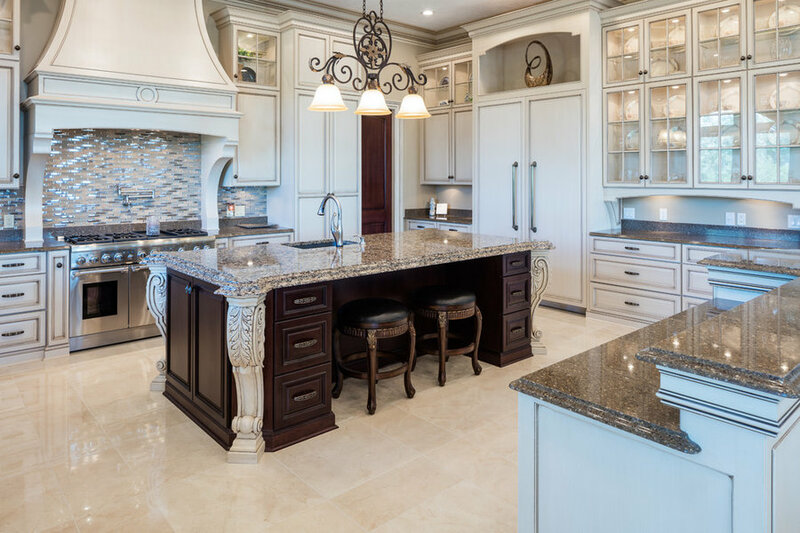 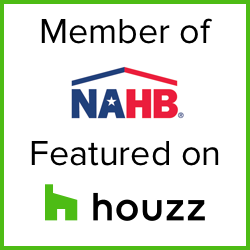 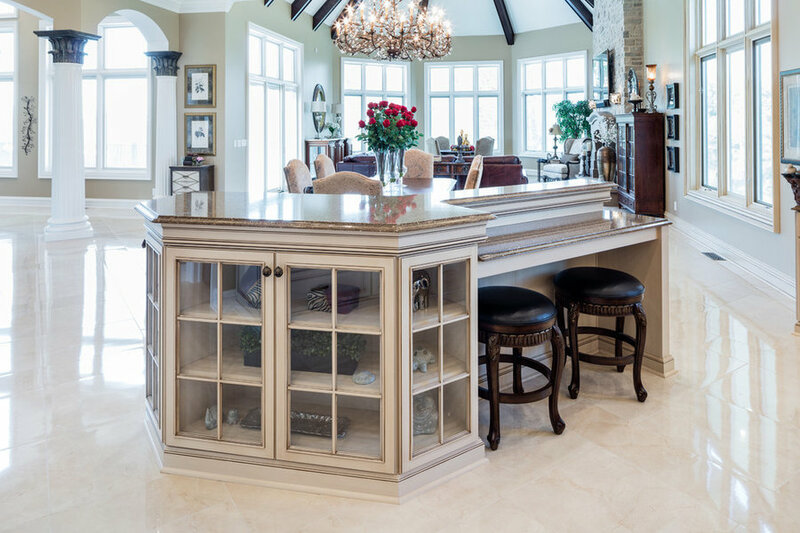 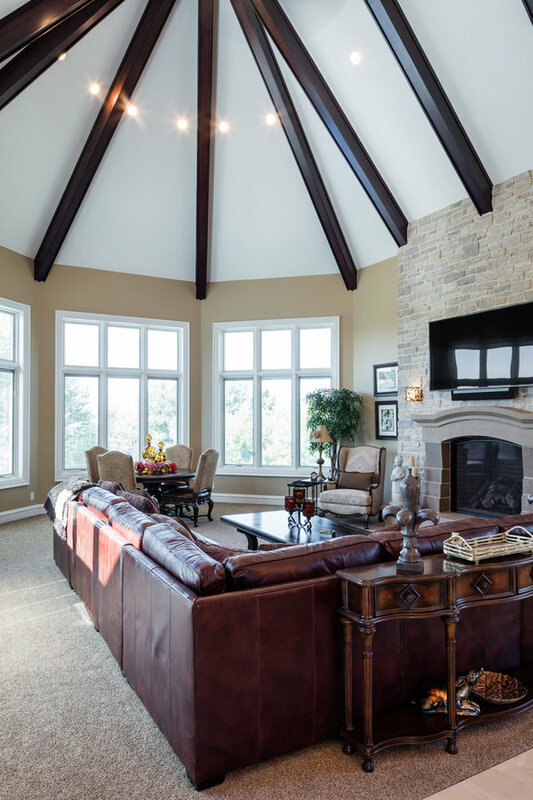 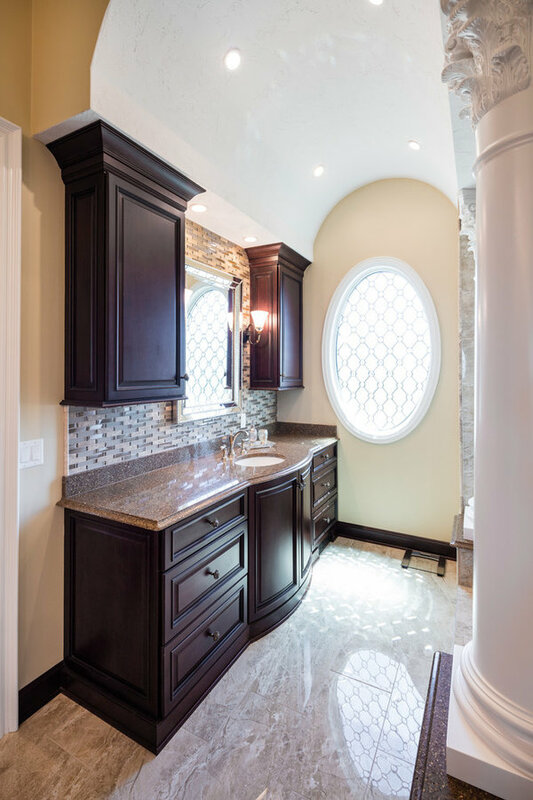 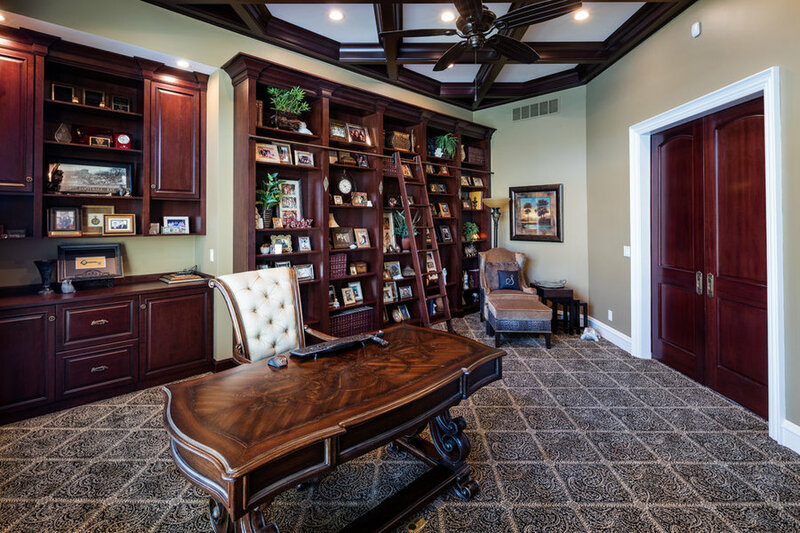 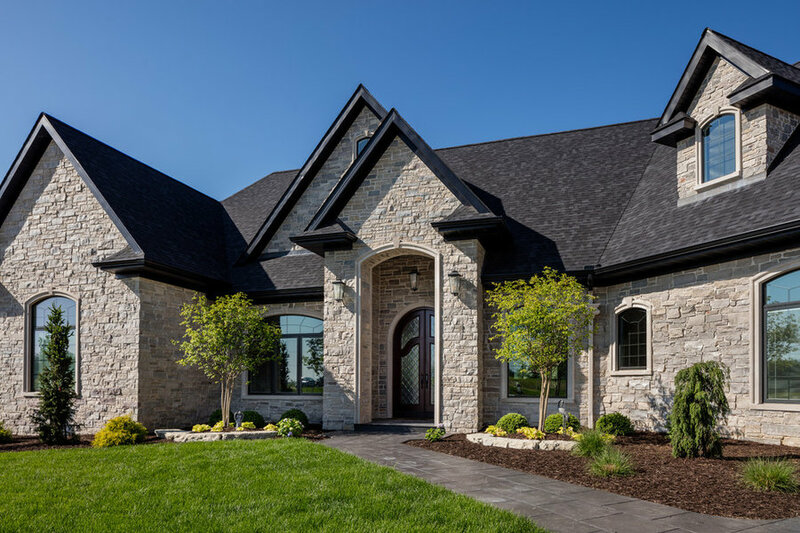 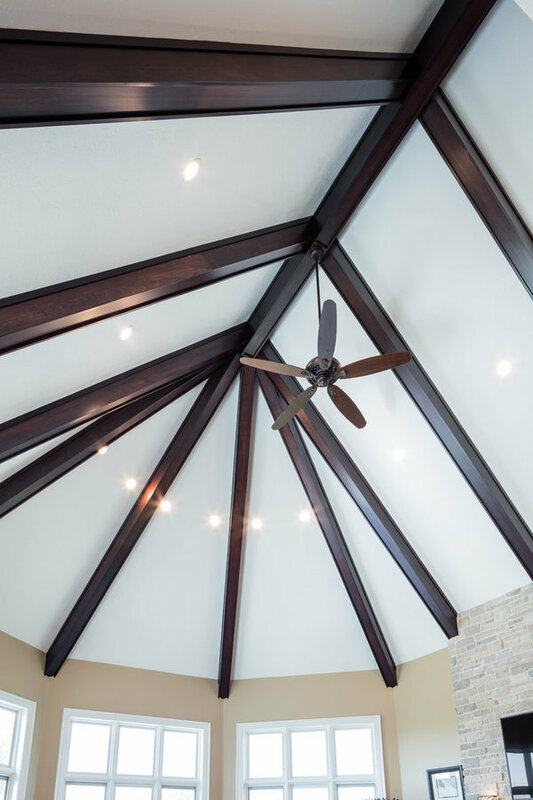 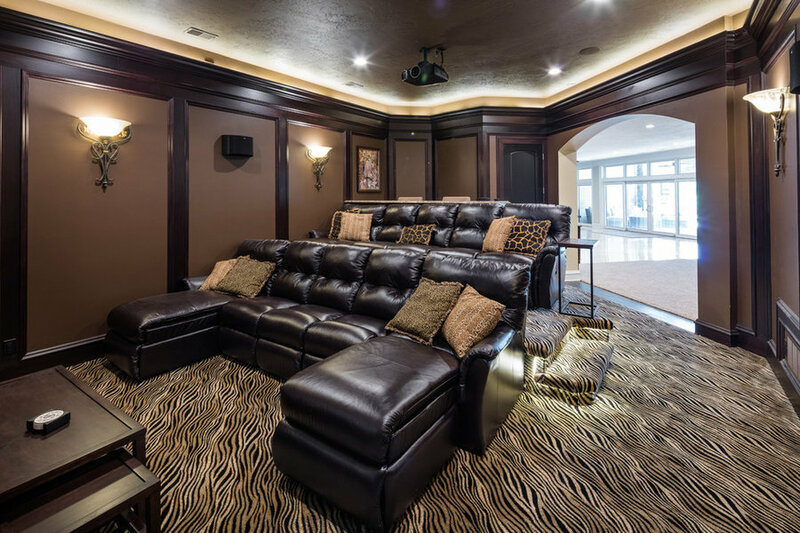 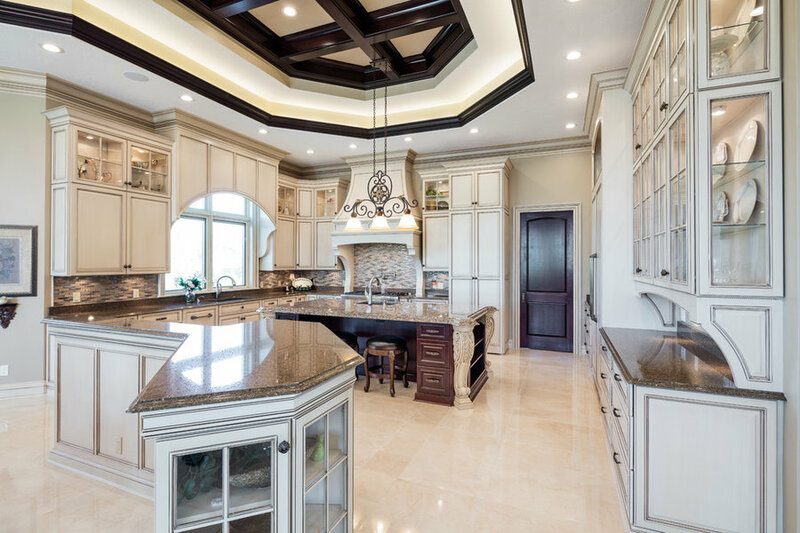 This home showcases the design and custom craftsmanship that is the signature of McCartney Improvement.